The crisp morning air. The smell of pumpkin muffins filling the entire house. The first of many leaves changing from green to browns and yellows. It's almost here. Fall, the best time of year. 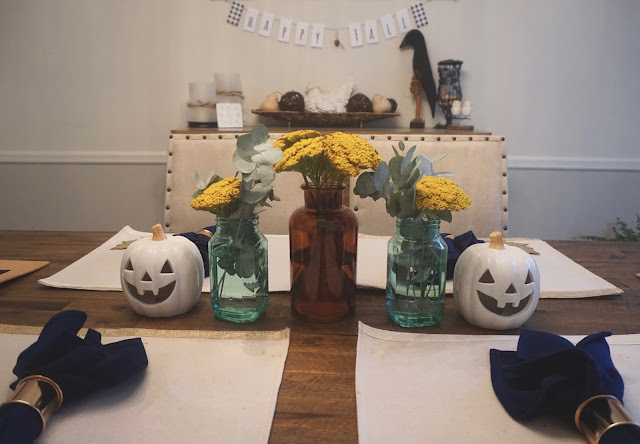 I have to be honest, I started decorating my house last week for fall, and it made me so happy. Part of the reason was because I knew I wouldn't really have time in the weeks to come, but part of it was that I just couldn't wait!! This post is that last part of my series, Creating Your Nest. I hope that you have enjoyed reading these posts as much as I have enjoyed sharing my ideas with you. This last post will focus mainly on how I decorate. Once again, I was faced with the challenge of trying to explain how, because I never really thought about it before. 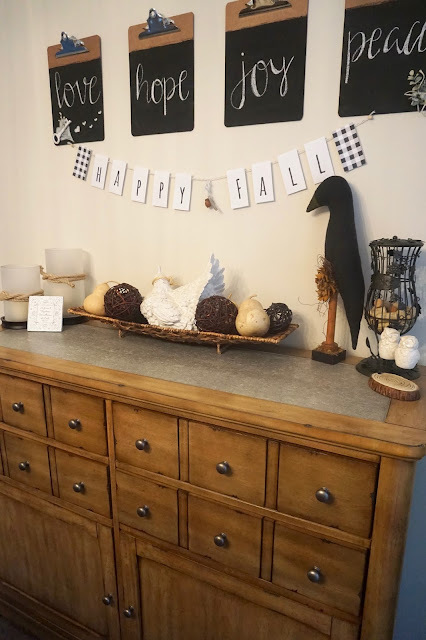 What I learned, was that a lot of how I decorate, involves creating vignettes. The word vignette has a few different meanings. The original definition being, a running ornament (as of vine leaves, tendrils, and grapes) put on or just before a title page or at the beginning or end of a chapter, but when dealing with interior design it is considered a small decorative arrangement of a variety of objects that are placed just so. Sometimes this grouping of items can tell a story, and other times they may just share a common theme. I love creating vignettes. It's arranging and rearranging at its finest, and the beauty of it, is that, it is constantly changing. You can add and remove objects as you please, depending on the season or maybe if a certain item just doesn't go. I have created a Pinterest page with all different kinds of vignettes. Check it out here --> Vignette Me. 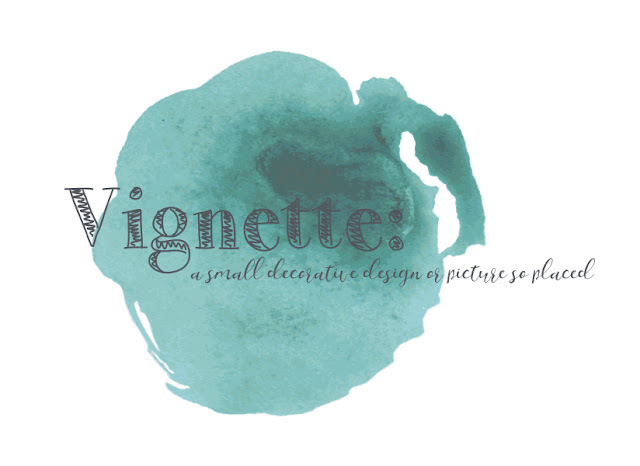 I also found this awesome article that talks all about creating a vignette. The author does a great job explaining how to arrange a vignette. 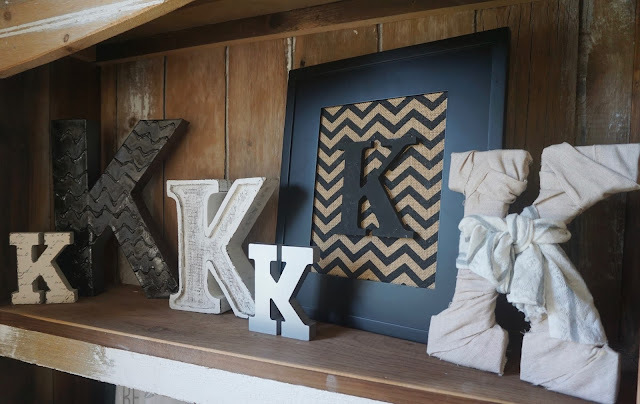 Follow the link to the article here --> The ABC's of Arranging Vignettes. 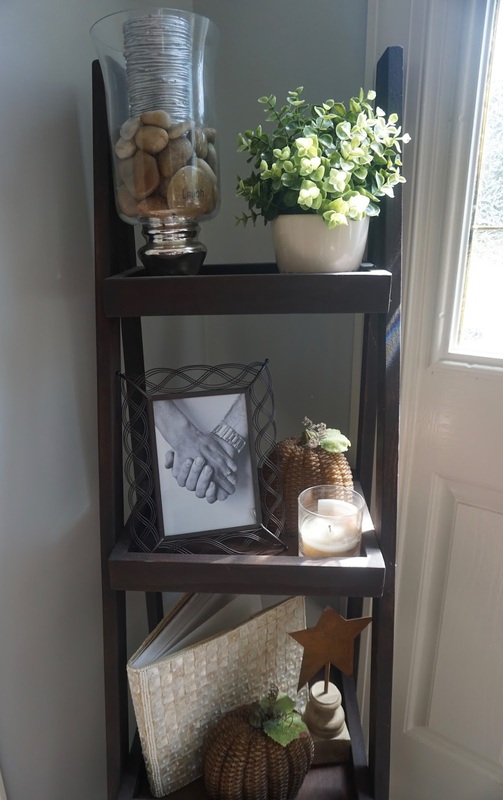 I took a few photos of vignettes that I have created around my house. These will be my colors for the fall. As you can see I have the same three base colors, grey, ivory, black/brown in mostly every room, and then I change/add other colors depending on the season. 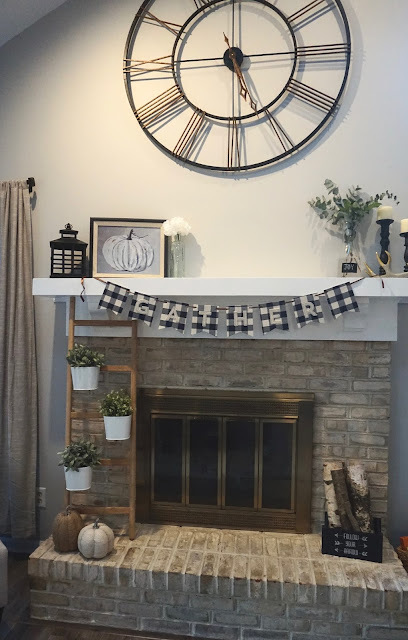 I also love to decorate with baskets. I wrote an entire post all about it. You can read it here --> Decorating & Organizing with Baskets. As a way to say thanks for following along during this series, I am doing a giveaway!! One person will win a 40 gift card to Home Goods plus a surprise handmade item!! Follow the directions below to enter! Happy decorating! Loved ready about vignettes and seeing your color palettes! I think what I love the most about this series is the feeling of "home". Everything looks so inviting and meant to bring a sense of comfort, and really that's what having a home and a "nest" is all about! Thanks for the kind words and thanks for entering! I totally understand! Glad it helped you find where to start. Thanks for entering! The color palate is BEAUTIFUL and it carry through out your house so wonderfully but I really, really, really love what you did with the baskets. I thought I was the only one that admire baskets, especially in Home Goods lol. 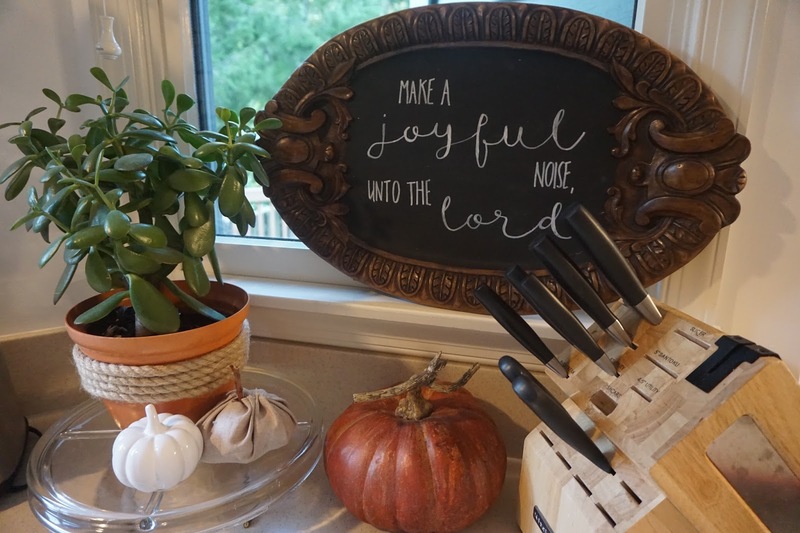 I can't wait to see how you decorate for the winter! Thats awesome! Yes I love baskets! Thanks for following along and entering the giveaway! I enjoyed the 3rd installment about finding a balance. I noticed that I had too much greenery in my living room. Too much fake greenery was overkill! Oh no, lol. To be honest, I feel like sometimes I have too much fake greenery, as well, so we won't tell anyone. Thanks for entering! Awe thanks! I would love to!! Thanks for stoping by and entering!! I love the way you use baskets! I tend to pile stuff in baskets around the house just to keep it contained but it's refreshing to see that it can be beautiful too! Thank you! I have always been obsessed with baskets! I use them for everything! Thanks for entering!! Awe thanks! I'm glad I could give you some ideas! Thanks for entering! Haha! You are more than welcome anytime!! Love your fall color scheme and how it's outside of the box! Love seeing all your cute ideas. Thanks! You are a great decorator too! Cant wait to see your place! Love the fall colors. Nice to see a change from all the Browns.